It was just the second time in school history that an Austin Peay softball coach opened their careers with the Govs with back-to-back wins. The other coming at the start of the 1992 season. The Govs continue play in the tournament on Saturday with a, 12:30pm, rematch with Louisiana Monroe followed by a, 5:30pm, contest versus UAB. 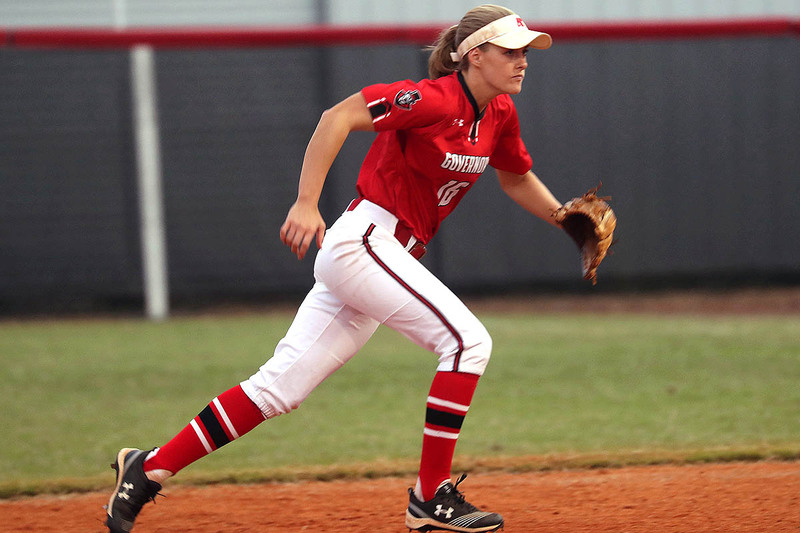 Austin Peay jumped out to an early lead versus the Warhawks, scoring twice in each of the first two innings, with Carly Mattson picking up and RBI in the first inning and Kacy Acree driving in both runs in the second inning on her first home run of the season. That would be all the runs that starter Morgan Rackel would need, as she picked up her eighth career shutout, giving up just two singles while striking out 10. The Govs would closeout the game with a big six-run fourth inning, highlighted by a three-run double by Mattson and a two-run double by Acree. The Govs would break open a 3-3 tie with a two-run fourth inning and a three-run fifth to come away with the victory, highlighted by Emily Moore driving in three of the five final runs – including a two-run homer just inside the left field foul pole to close out the scoring. Austin Peay had gotten out to a quick two-run lead in the top of the first, with Danielle Liermann and Mattson picking up RBIs. After Wight State cut the APSU to 2-1, Acree pushing the Govs lead back out to a two-run margin, 3-1, with a single in the fourth before Wight State scored its final two runs of the game in the bottom of the inning to tie the game. Austin Peay’s Kelly Mardones (1-0) picked up the win, going the first four innings, while Kelsey Gross threw three shutout innings of relief to pick up the save. With her single in the first inning versus ULM, Carly Mattson became the 34th player in program history to record at least 100 hits in a career. Carly Mattson’s 100th career hit makes her the third player on the current roster to have at least 100 hits, joining Danielle Liermann and Kacy Acree making it just the ninth time in program history and the first since 2007 that the Govs have had three players on the roster with at least 100-career hits. Kacy Acree joined teammate Danielle Liermann with her 150th career hit, marking just the third time in program history — and the first since 1995 — that APSU has had two players with at least 150-career hits on the same roster. With her three runs scored, Kacy Acree becomes just the eighth player in program history to score 100 runs in their career. The win versus ULM evens APSU’s record in season-opening games at 17-17. The 10-0 shutout victory versus ULM was the largest shutout win by the Govs to open a season in program history. Morgan Rackel’s 10 strikeouts versus ULM gives her 214 in her career, moving her past Megan Lane (1999-02) for eighth-place in program history. “I felt that if we came out and played Austin Peay softball, we would have a pretty good chance to doing well and that’s exactly what we did today.